Who was this young man? What do we know about him? Not a whole lot, though we can guess at a few particulars. Some think this was Mark the Gospel writer himself, telling what happened to him the night Jesus was arrested. Since Mark is the only one who writes down this event, it makes sense that it might be his personal story. Clearly, the young man was a follower of Jesus, though he wasn't one of the twelve disciples. 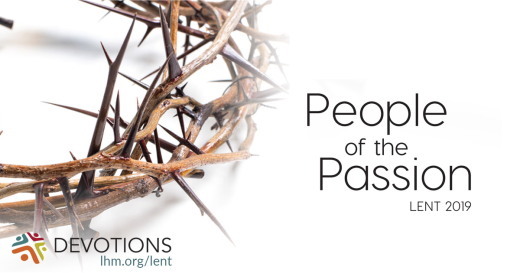 He was out in the garden of Gethsemane, which suggests he tagged along with the disciples when they left the house where they celebrated Passover. Perhaps he was a son of that family. He clearly had some courage, to try to follow the arrest squad—though when they grabbed him, he lost his nerve and fled. But in the end, what do we truly know of him but his most glorious—and inglorious—moment? Glorious because he loved Jesus and attempted to follow Him, even when his own life was at risk; inglorious because he lost his nerve and fled naked. That one moment sums up all we really know about him—his love, his glory, and his shame—all rolled into one. But it's like that for us, too, isn't it? We love Jesus; we attempt to follow Him; and all too often, what we're trying to do ends up as a total fiasco. Our good intentions don't survive the actual doing of them. We may even find ourselves running away embarrassed, covered in shame. Fortunately for us, we have a Savior who won't leave us covered in shame. He comes to us and clothes us in His own righteousness. We don't have to be embarrassed about our failures. They are taken away, covered by His own holiness. We are forgiven, healed, washed, clothed. "For as many of you as were baptized into Christ have put on Christ" (Galatians 3:27). He covers us in Himself. Thanks be to God. THE PRAYER: Thank You, Father, that You take all of me, glorious and shameful together. Cover me in the grace of Your Son Jesus Christ. Amen. Do you have a funny embarrassing story about yourself you're willing to tell? If you are willing, tell about a time when you tried to do good and it backfired. When have you seen God bring a blessing out of an inglorious moment?